Hard plastic head and shoulder plate, composition arms and legs, and cloth body. I'll put more pictures on as I continue working on her! 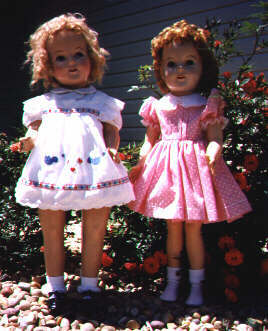 She is the "Shirley" on the left of the picture.